OBITUARY OF HARRY LEE ORT, SR.
Harry Lee Ort, Sr. , Mr. Harry, 76 years old, passed away at his home on Sunday, December 2, 2018 surrounded by his family. He was born on August 16, 1942 in Fort Wayne, Indiana, the son of Lavern Bill Ort and Lorine Meyer. He came to Silver Springs, Florida in 1985 from Fort Wayne, Indiana. He worked at KWI-Mount Dora and KWI of Ocala as their truck driver for several years. 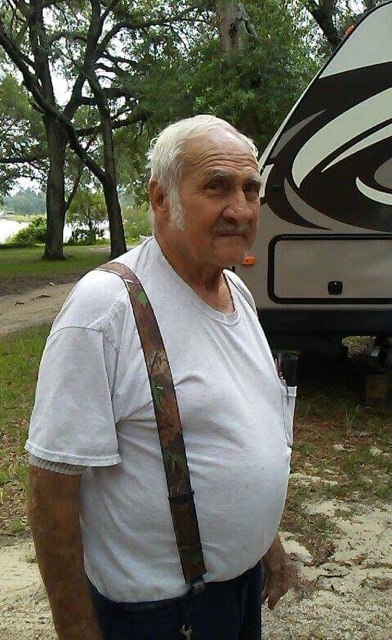 He loved watching NASCAR races and camping with his dog, Champ. Survivors include his wife of 38 years, Phyllis Ort; daughter, Sendy Gibbs (Howell); daughter, Marsha Conner (Tim); son, Harry Lee Ort, Jr. (Shannon); daughter, Joyce; son, Christopher Ort (Jennifer); and daughter, Ashley Kelton (Jack); sister, Maryann Hayes (Quinn); 11 grandchildren and 15 great grandchildren. He was preceded in death by his parents, Lavern Bill Ort and Lorine Meyer, and brother, Arthur Ort.